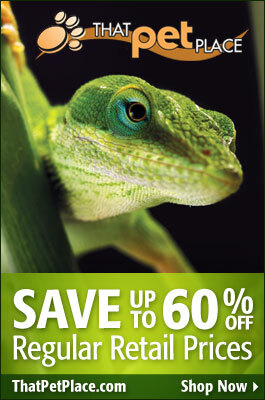 Contains articles on a wide variety of both reptile and amphibian species. Commonly addresses topics which affect herps in capitivity as a whole. Most herp enthusiasts know that amphibians are usually quite sensitive to warm temperatures. However, reptiles, even those native to tropical and desert habitats, may be severely impacted as well. Following are some general guidelines to keep in mind at the height of summer – please write in for more detailed information about the animals in your collection. CITES Listing Sought for Snapping Turtles, 3 Softshells: Do You Agree? The US Fish & Wildlife Service is currently (December, 2014) seeking Convention on International Trade in Endangered Species (CITES) protection for the Common Snapping Turtle and the Florida, Spiny, and Smooth Softshell Turtles. Each is being collected from the wild in ever increasing numbers and exported to Asian food and medicinal markets. With so many Asian species having been decimated by over-collection (please see article below), pressure on US species will surely increase. While several of the turtles involved are perceived to be common, recent export figures are grim. For example, approximately 2,178,000 live, wild-caught Snapping Turtles were exported from the USA between 2009 and 2011 (this excludes processed meat and eggs). Unfortunately, government regulation sometimes raises hackles among pet keepers. Throughout my career as a herpetologist, I’ve worked on numerous cooperative ventures between government agencies and private keepers – all showed promise, but were also fraught with red tape and other problems. In my experience, many pet owners are pro-conservation, but remain frustrated by laws that prevent the ownership and breeding of at-risk species. Today I’ll outline the proposed CITES listing; your thoughts on the subject would be most appreciated – please post below. When I began looking into the mercury content of food trade turtles some years ago (very high, by the way! ), Florida Softshell Turtles (Apalone ferox) dominated the NYC markets. Today, one more commonly sees the Chinese Softshell (Pelodiscus sinensis). Although rare within its natural range, this hardy turtle is being bred in huge numbers on farms in China. This development may have eased some of the pressure on US natives, but certainly has not yet eliminated over-harvesting. Florida Softshells have benefitted from canal construction in Florida, and have expanded their range as a result. However, they are quite easy to trap or catch via line. From 2009 to 2011 (the most recent years for which figures are available), approximately 792,000 live Florida Softshells and 260,000 eggs were exported from the USA. Spiny and Smooth Softshell Turtles (Apalone spinifera & A. mutica) are not as common as their larger cousin, and harder to collect. Several subspecies are rare, and almost all populations are in decline due to factors unrelated to hunting – habitat loss, stream channelization, etc. Still, approximately 158,000 live Spiny Softshells were captured and shipped to Asia from 2009 to 2011. As mentioned above, the Common Snapping Turtle (Chelydra serpentina) leads the pack, with over 2,000,000 wild-caught individuals exported during the same period. Huge quantities of processed turtle meat are also sold to overseas (and some local) markets. What is the Effect of a CITES Listing? If the US F&W Service’s proposal is approved, the 4 species would be listed on Appendix III of the Convention on International Trade in Endangered Species of Wild Fauna and Flora (CITES). This primarily affects international trade, and opens up a monitoring, rather than a regulatory, process. Pet-keeping per se is not affected. However, if monitoring reveals that a species is in need of further protection, federal and state laws that prohibit private ownership may be implemented. This is what worries some pet owners. Exporters must prove that the turtles were collected and shipped in accordance with all relevant state laws. Live turtles must be packed and shipped humanely, in accordance with the regulations established by the International Air Transport Agency. Foreign governments will theoretically give greater priority to the inspection of imported CITES-listed species. As a practical matter, most tend to cooperate more readily with the USA when protected species are involved. If past experience is any guide, there will be many conflicting opinions concerning this topic. This is very useful, so please be sure to post your thoughts below. You can also register opinions with the US F&WS until 12-31-14; please let me know if you need more info. The Spotted Turtle measures only 4-5 inches when fully grown, and is brightly-colored, alert, friendly and hardy…small wonder it is esteemed by turtle keepers worldwide. Although the days when I could count on finding several each summer are long gone (it is now rare in the wild), captive-bred individuals are readily available – if quite expensive! But those who give this endearing little turtle a place in their collections become instant fans, and never regret the price they paid. Shallow water specialists, Spotted Turtles are infinitely easier to care for, and require far less space, than do Sliders, Painted Turtles or any of the other more commonly-kept semi-aquatic species. The Spotted Turtle inhabits a large area of North America, but it is unevenly-distributed, and nowhere to be found in abundance. Its range extends from southern Ontario and Quebec south along the Atlantic Coastal Plain to central Florida and west through Pennsylvania to northern Indiana and northeastern Illinois. This unique turtle is a true habitat specialist, being restricted to the shallow, thickly-vegetated waters of bogs, swamps, sloughs and other marshy wetlands. Hatchlings are highly aquatic, but adults spend some time in moist fields and woodlands. Over-collection and habitat loss have decimated populations, which are now protected; please be sure to purchase only captive-bred individuals. The bright to light yellow spots that mark the black carapace render the Spotted Turtle nearly invisible among duckweed, yet startlingly conspicuous in an aquarium. Among the world’s smallest turtles, adults measure a mere 4-5 inches in length. Spotted Turtles are small but quite active, always foraging and exploring their environment. They should be provided with as much room as possible. A well-designed 20 gallon long-style aquarium is adequate for a single adult, but additional room is always appreciated. The water in the aquarium should be of a depth that allows the turtle to reach the surface with its head without needing to swim. Floating plastic or live plants should be provided as cover for the always-shy hatchlings (they are on the menus of predators ranging from giant water bugs to bullfrogs, and naturally-wary!). Adults become quite bold, but still prefer aquariums with cover, driftwood, and caves to bare enclosures. The aquarium should be equipped with a dry basking site, UVB bulb, heater, and powerful filtration. A water temperature range of 68-76 F, with a basking site of 88-90 F, is ideal. Wild Spotted Turtles feed upon fish, tadpoles, snails, carrion, insects, crayfish, shrimp, salamanders, frogs and aquatic plants. Pets should be offered a diet comprised largely of whole animals such as minnows, shiners, earthworms, snails, crayfish, and prawn. Some adults will also accept dandelion, zucchini, collard greens, apples and other produce. Roaches, crickets and other insects may also be provided. 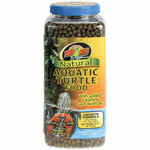 A high quality commercial turtle chow can comprise up to 60% of the diet. Spinach and various cabbages may cause nutritional disorders. Goldfishes should be used sparingly, if at all, as a steady goldfish diet has been linked to kidney and liver disorders in other species. A cuttlebone should be available to supplement the calcium provided by whole fishes and similar foods. Turtles are messy feeders, and quickly foul even well-filtered aquariums. Removing your pet to a plastic storage container at feeding time will lessen the filter’s workload and help to maintain good water quality. Partial water changes (i.e. 50 % weekly) are also very useful. Filters designed specifically for turtles, if serviced regularly, are usually preferable to those marketed for use with tropical fish. Some folks find it easier to maintain their aquatic turtles in plastic storage containers that can easily be emptied and rinsed. Spotted Turtles are as hardy and responsive as the more commonly-kept sliders, and are now being regularly bred by hobbyists. Although somewhat shy at first, most soon learn to rush over for food when approached. Spotted Turtles must be watched carefully if housed in groups. Males often harass females with mating attempts, and may stress or bite them in the process. Males should not be kept together, as they will usually fight. Mating and egg deposition occurs from April-August. Breeding behavior may be stimulated by a winter resting period at reduced temperatures, but this should not be attempted without expert guidance (please post below for further information). Females produce 1-2 clutches of 1-8 eggs. Gravid (egg-bearing) females usually become restless and may refuse food. They should be removed to a large container (i.e. 5x the length and width of the turtle) provisioned with 6-8 inches of slightly moist soil and sand. The eggs may be incubated in moist vermiculite at 82-84 F for 50-85 days. Gravid females that do not nest should be seen by a veterinarian as egg retention invariably leads to a fatal infection known as egg peritonitis. It is important to note that females may develop eggs even if unmated, and that captives may produce several clutches each year. Hi, my name is Frank Indiviglio. I’m a herpetologist, zoologist, and book author, recently retired from a career spent at several zoos, aquariums, and museums, including over 20 years with the Bronx Zoo. Please also post your questions and comments below…I’ll be sure to respond quickly. Thanks, until next time, Frank. The three species in the genus Hydrosaurus, commonly referred to as Sailfin Dragons, are among the most spectacular lizards on earth. Even after decades of working with all manner of reptiles in zoos and the field, I’m still stopped in my tracks by the sight of one. Unfortunately, the coastal swamps and forests they inhabit are being developed out of existence, and captive breeding is not common. Recently, genetic studies of lizards illegally held in Philippine pet markets surprised herpetologists by bringing to light a new species of Sailfin Lizard. The Philippine Sailfin Lizard, Hydrosaurus pustulatus, is the species most commonly seen in the pet trade. Stoutly built and reaching over 3 feet in length, males sport huge crests along the back and tail, and are clad in several shades of green, neon purple, and red-tinted blue. Small wonder they are high on the wish-lists of lizard enthusiasts worldwide (and “large wonder”, in my opinion, why zoos do not pay them more heed!). The Amboina Sailfin, H. amboinensis, is found in Indonesia and New Guinea; its occurrence in the Philippines is debated. Weber’s Sailfin Lizard, H. weberi, appears limited to the Indonesian islands of Ternate and Halmahera. Unfortunately, Sailfin Lizards are a poor choice for all but experienced keepers with a great deal of space. They require huge enclosures and usually remain high-strung, even after years in captivity. Today, as in years past, nearly all in the trade are wild-caught, and captive breeding is very rare. In order to access the Sailfin Lizards’ status and formulate a conservation strategy, herpetologists from the University of Oklahoma surveyed natural habitats and pet markets in the Philippines (Biological Conservation, V 169, Jan, 2014). The coastal marshes and riverside forests upon which these lizards depend were found to be under immense pressure from logging, fishery expansion and other forms of development. Only 10% of the Philippine Sailfin Lizard’s habitat lies in protected areas – the rest is open to human activities. The species is classified as Vulnerable by the IUCN. Illegal collection also seems to be a problem, as black market animals were easy to locate, and field surveys of easily-accessible habitats revealed few adult specimens. Animal markets in Manila seem to be the main source of entry into the pet trade. DNA studies of scale and nail-clippings from lizards found in these markets revealed that Sailfins inhabiting Sulawesi, Indonesia are genetically distinct from those in New Guinea; both are now classified as H. pustulatus. The newly-described species has not yet been named. Why Bother with Genetic Identification? “Discovering” new species via genetic research is becoming ever more common, and I think there’s sometimes a tendency to regard this as less noteworthy than finding an animal that is “new” in the sense of having never been seen, or seen only by people living within its habitat. However, it’s important to bear in mind that genetic differences evolved over millions of years undoubtedly have survival value. Well-known examples abound – Green Anoles from southern Florida cannot tolerate north Florida winters, venoms of rattlesnakes with wide ranges differ radically (in response to prey defenses) from place to place, and so on. These unnoticed but very significant differences can greatly affect conservation plans and captive breeding attempts. Also, properly identifying a species can have important implications where legal protection is concerned. Considering the horrific confusion and red tape that plagues international conservation laws, any means of introducing order and clarity should be welcomed. As mentioned earlier, Sailfin Lizard ownership should not be undertaken lightly, as they are quite demanding pets. However, those who are enamored of large, beautifully-colored lizards bearing “dragon-like” crests do have excellent alternatives – the Green Basilisk, Basiliscus plumifrons and the Asian Water Dragon, Physignathus cocincinus. You can read more about the care and breeding of these very impressive lizards in the articles linked below. Salamanders and newts, often overlooked by pet keepers, zoos and environmentalists alike, are getting some much-needed exposure this year. Led by the Partnership for Amphibian and Reptile Conservation, a consortium of environmental groups has designated 2014 as the Year of the Salamander. I’m very pleased, as past efforts, including the Year of the Snake and the Year of the Lizard, have done much to advance reptile conservation. Even among my Bronx Zoo colleagues, I was considered somewhat strange when I began writing a book on newt and salamander natural history and captive care some 17 years ago. But I have been very lucky, salamander-wise. Perhaps because so few people were interested, many fascinating opportunities came my way. Whether crossing the USA and Japan in search of my favorite species or caring for those in my home collection – several of which are now aged 25 to 35 – I’ve never tired of learning about them, and remain as passionate today as I was in childhood. Salamander enthusiasts based in the USA are quite fortunate, as more species live here than anywhere else on earth. In fact, the southern Appalachian Mountains, a salamander hotspot, are home to 10% of the world’s known species. 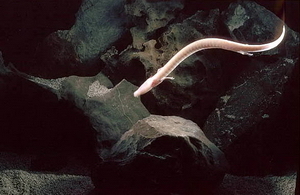 And the sheer diversity of their sizes, lifestyles and behaviors is beyond belief – colorless cave-dwellers that never see the light of day, yard-long eel-like species armed with sharp teeth, tiny lichen-colored rock dwellers, colorful beauties, terrestrial giants large enough to raid mouse nests and so many more. My zoo-keeper and hobbyist friends in other countries are astounded that those living in the epicenter of salamander diversity do not devote more of our efforts to these amazing creatures. I’ve written about some of our species in other articles…please post below and I’ll send links. The Year of the Salamander effort is spearheaded by Partners in Amphibian and Reptile Conservation (PARC), and was preceded the Year of the Turtle, Snake and Lizard. This year, PARC will be joined by the Center for Conservation Biology, the Association of Reptile and Amphibian Veterinarians, Amphibian Ark, and other notables. In addition to field research and captive breeding programs, public education will be a major component of each group’s activities. I’m happy to see that input from interested non-professionals will be solicited. This is an all-too-rare step, despite the fact that professionals with financial resources cannot begin to address the conservation needs of the world’s threatened amphibians. Frog extinctions have been very much in the spotlight in recent years. Fueled by emerging diseases (please see below) that have exacerbated the threats posed by habitat loss and other long-standing concerns, frog declines have been documented around the globe. Salamanders, which are usually harder to find and study (after all, none advertise their presence by croaking! ), are likely in just as much trouble as frogs. In fact, the IUCN classifies 49.8% of the world’s salamanders as threatened or endangered, as compared to 31.6% of the world’s frogs! Considering that salamanders are so poorly studied, the conservation picture could actually be far bleaker than the IUCN’s frightening statistics indicate. Hopefully, the Year of the Salamander effort will divert much needed interest and funds to salamander conservation. The future of the world’s salamanders and newts is put in jeopardy by many of the same problems that afflict frogs – habitat loss, road mortality during the breeding season, pollution, invasive species (especially fish) and others. Unique threats also exist – for example, Tiger Salamanders, classified as endangered in some US states, are legally used as fish bait in others (please see article below)! While the devastating effects of Chytrid and Ranavirus infections on frog populations are well known, related salamander studies are in short supply. However, in 2013, a new strain of Chytrid was found to be killing Fire Salamanders in Europe…I fear that this is merely the tip of the iceberg. Please check out my salamander conservation articles, some of which are linked below, and share your thoughts and observations by posting in the comments section of this article. A book I’ve written, which addresses both natural history and captive care, may also be useful to those interested in helping these amazing amphibians. New Population of Endangered Axolotls Found…in Mexico City!